Many thanks to Gemma Eyles for gifting me this unusual Air New Zealand plate. 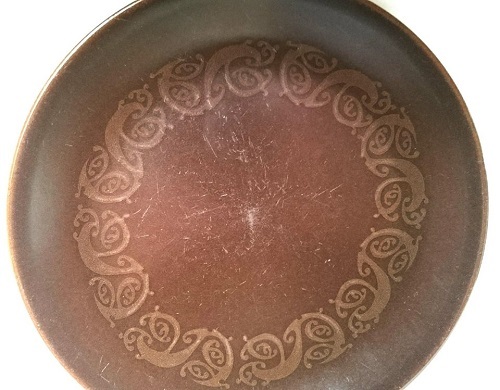 The Brown glaze matches the DC 10 brown ware with the Koru design on it, first made in 1973 for the Economy Class. There is one Air New Zealand pattern on the Database that we don't have and it's Pat.No.994, so I'm hoping that this is the missing pattern. There is no way I can read the number on this piece, so we will have to wait until another comes along to see what it says. So pleased and what a way to start the day.